Contains high concentration of pure Vit. E known for its antioxidant properties. Keeps skin healthy, vibrant and supple. Protects skin from the harmful effects of pollution and weather. Formulated to provide ease of application and a non-greasy after feel. 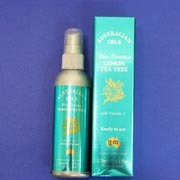 Contains Lemon Tea Tree Oil. 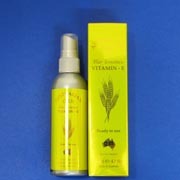 Protects the skin against the drying and damaging effects of exposure to cold, sun and pollution. 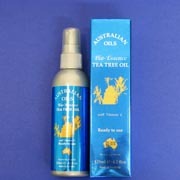 Rich in citral and citronella to give a rich lemony fragrance plus all the benefits of the Tea Tree family. 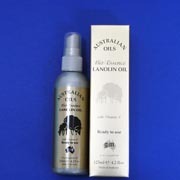 Contain Lanolin Oil and Vit E.. Offers long lasting protection to skin. Helps hydrate dry and damaged skin. Maintains natural moisture balance and skin elasticity. Keeps skin soft, supple and smooth. Formulated to provide ease of application and a non-greasy after feel. Contains Eucalyptus Oil and Vit. E. Moisturises and protects the skin. Also helps to relieve arthritic and muscular pains. Formulated to provide ease of application and a non-greasy after feel. 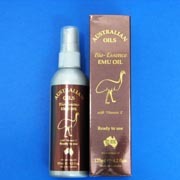 Contains Emu Oil and Vit. E. Moisturises and softens skin. Provides long lasting hydration and protection from the effects of air pollution. Helpful to relieve inflammation and arthritic pain and muscular aches. Formulated to provide ease of application and a non-greasy after feel. Contains Tea Tree Oil and Vit. E. Designed to smooth and relax skin dried by effects of harsh weather an pollution. 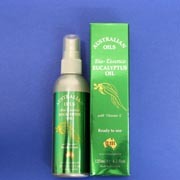 Promotes skin elasticity and gives skin all the benefits from properties of Tea Tree oil. Formulated to provide ease of application and a non-greasy after-feel.